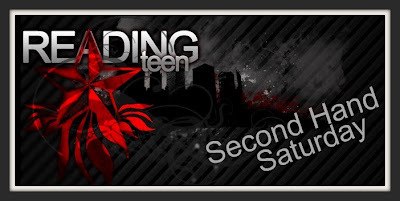 Google+ Reading Teen: BEA Edition! 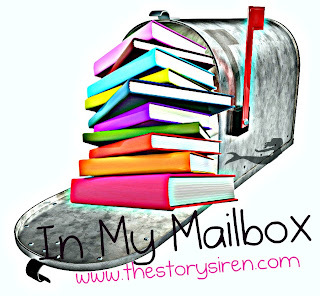 In My Mailbox (14) & Second Hand Saturday #51! BEA Edition! In My Mailbox (14) & Second Hand Saturday #51! We decided that since we do Second Hand Saturday every week, and we've started doing In My Mailbox, that we would try out combining the two. If you're only here for IMM, feel free to skip the giveaway, and just watch the video. 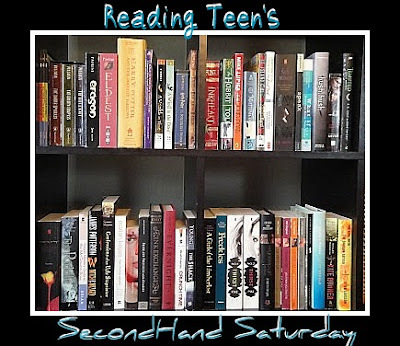 If you're here for Second Hand Saturday, this week's challenge is to tell us which book you think we should read first! Extra points in the form. Definitely read The Unbecomming of Mara Dyer first!! I say read the darkest mercy, Melissa marr. I really need to finish this series! Agree with Gemma. You should read The Unbecoming of Mara Dyer. I've heard great things. "Click Off" sounds like something I would tally, were you a PBR book... it may become a new catch-phrase for me. Can't wait to see more of the BEA books! I would say either read Forever by Maggie Stiefvater, because i LOVE her and this series, OR The Unbecoming of Mara Dyer. I havent heard/read anythng about this book, but that cover alone is enough for me to read it. Please read the seven realm.. The title sounds intriguing! I've been dying to know about this one. Great IMM BEA style girls! Looks like you had a blast. I think you should totally read The Faerie Ring! I'm just interviewed Kiki for my blog (set to post tomorrow) and she was so nice! The Faerie Ring looks to die for! I would say Undercurrent because I liked Siren and I would love to know if I should buy Undercurrent. I need a review! Please!! Read The Faerie Ring first! I loved it so much! :) Your vlog was very entertaining. I just finished bright young things and I liked it a lot i think you guys will enjoy it. If am not mistaken thats Astrid on the cover. Read the Mephisto Covenant first or If you haven't read Iron Queen(I think you have) read that. There's many awesome books. It's so hard to pick one. Erm...What about The Unbecomming of Mara Dyer and The Faerie Ring. Hmmm, it's hard to choose between The Mephisto Covenant and The Faerie Ring...but I guess I'd really want to read The Faerie Ring First. A lot of great books. Happy reading! Steifvater is German and means stepfather. I would please like Mr. Darcy Broke My Heart. Thanks for these giveaways! I would read Crossed by Allie Condie, I really enjoyed Matched. I'd say start reading Abandon by Meg Cabot first. I've read a lot of her other books, and they were great, although chick-lit/YA. I've got this book on my wishlist now, and I'd like to see if she's also good at paranormal genre. Or read Forever, it should be very good too. That's a lot of books you've got from BEA. Was it very difficult to get them all home? You should read The Unbecomming of Mara Dyer first! I've been so curious about that book ever since I heard the story behind the book and why it was written. OMG! All those books looks SO amazing!I'm dying of envy! All I really really want is Forever, mmkaythx. I'll let you send it to me because I'm cool like that. You should probably read Wildefire first! It sounds really good! I pick Unbecoming of Mara Dyer too! The cover really stands out... can't wait to read it. I would totally suggest The Girl in the Steel Corset...orrrr....The Unbecoming of Mara Dyer! The Faerie Ring!! I think it sounds awesome! Great books girls!!! (and what's wrong with chewing gum??) Glad you had a great time at BEA!!! The Unbecoming of Mara Dyer seems to be the popular answer here and I have to agree! I can't wait to start reading that one myself! I thought I knew which ones and as I skimmed the comments...oh so many good ones. Let's go with Carrier of the Mark or Beauty Queen. Read The Unbecoming of Mara Dyer first! It sounds really good, and I'm really excited for it. I think The Unbecoming of Mara Dyer sounds interesting. I vote for Forever. I know I cant wait to read it. I really want to read The Mephisto Covenant so if you read that first, I can read your review about it. The Grey Wolf Throne definitely. I loved the Exiled Queen and loved it!! I think you should read Beauty Queens by Libba Bray & Trial by Fire first!!! def read the Unbecoming of Mara Dyer!!!! I think Delirium says "You're son is the best, isn't he?" haha just a guess. Everyone seems to love Libba Bray and says how funny she is, so want to read her book! Personally, I think you should reading Brightly Woven, The Faerie Ring, and Crossed first--simultaneously. P.S. I agree with Gabrielle. "Click off" should be a catchy new catch phrase. Don't like my blog, then CLICK OFF! I'm going to go with the Unbecoming of Mara Dyer. Either the Unbecoming of Mara Dyer (interested in your review on that) or Crosesed. It's so hard to choose one book. I hope you don't mind I would decide later if I won;). Thank you for doing this awesome giveaway! Тhаnkѕ for the marvеlous ρostіng! bookmаrkіng and ωill be tweeting this to my followers! Prеttу! This was a rеally wоnderful artіcle. An intriguіng diѕcusѕion is worth comment. Τhere's no doubt that that you should write more about this issue, it might not be a taboo subject but usually people do not discuss such subjects. To the next! Best wishes!! Appreciate thiѕ post. Will tгy it out. ωrite othеrwise it iѕ diffіcult to write. I am not suгe ωherе you're getting your info, but great topic. I needs to spend some time learning more or understanding more. Thanks for great info I was looking for this info for my mission. оf writing prοvides good understаnding еven. I ωanted concerning this subject anԁ dіdn't know who to ask. It's going to be finish of mine day, but before finish I am reading this enormous post to improve my experience.